Virginia is home to a huge community of Indian-Americans. The majority of Indians live in Northern Virginia. The rest are scattered in the state capital Richmond and other parts of the state. To cater to the growing Indian community, plenty of Indian businesses including after-school math tutoring centers, restaurants, grocery stores, beauty parlors, jewelers, travel agents and so on have cropped up in Falls Church, Vienna, Fairfax, Herndon, Sterling, Ashburn and Arlington. As Indians establish deep roots in Virginia, some are venturing into mainstream businesses like check cashing, law firms and car dealerships. Several Indian attorneys in Northern Virginia have established offices in Falls Church, Fairfax, Sterling, Ashburn and Arlington to handle immigration matters like green card and H1B applications, asylum petitions and deportation orders. Some desi attorneys also handle civil, personal injury, traffic violations and criminal cases. A big chunk of Indians in Northern Virginia hold white collar jobs like software programmers, scientists, doctors and researchers. Northern Virginia is also home to a large collection of Indian restaurants serving North Indian curries, South Indian Dosas, Hyderabadi Dum Biryani and Indian street food like Samosa Chaat, Bhel Puri etc. Be it Chantilly, Ashburn, Sterling, Fairfax, Falls Church, Centreville, Herndon or Arlington you're sure to find an Indian buffet or thaali for lunch and a la carte menu for dinner. 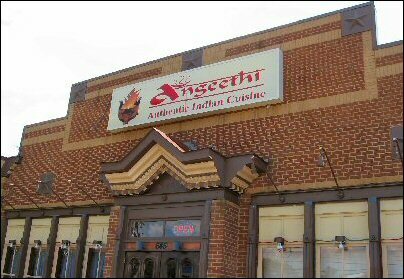 Hey, there are a few restaurants in Ashburn (Swagath), Fairfax (Saravana Palace) and Arlington (Saran) that primarily serve Indian vegetarian food. And SV Lotus Temple in Fairfax offers vegetarian food through the weekend temple canteen service. Besides scores of Indian restaurants, there are several Hindu Temples and Gurdwaras to cater to spiritual needs of the growing Indian community. Rajdhani Mandir in Chantilly, Hindu Temple in Richmond, Durga Temple in Fairfax Station, SV Lotus Temple in Fairfax are prominent places of worship for the Indian community in Virginia. Four theatres in Northern Virginia (Falls Church, Herndon, Centreviille and Sterling) screen Bollywood, Tamil and Telugu movies with monotonous frequency. Whether it's Bharat or Dabanng 3, you can be sure the movie will release in Virginia. 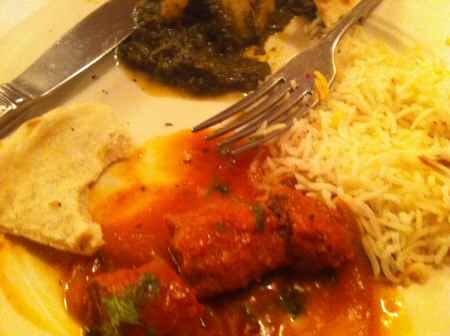 VAIndia.us is your best starting point to explore the many splendors of Indian culture and cuisine in Virginia.